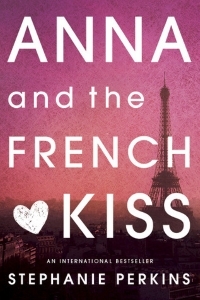 An enchanting series of teen romances, beginning with Anna and the French Kiss, these YA companion novels manage to capture the exhilaration, wonder and confusion of first love. Anna was looking forward to her senior year in Atlanta, where she has a great job, a loyal best friend, and a crush on the verge of becoming more. So she's less than thrilled about being shipped off to boarding school in Paris—until she meets Étienne St. Clair. Smart, charming, beautiful, Étienne has it all . . . including a serious girlfriend. What will become of Anna in the City of Lights? With humour and sincerity, the series realistically explores young love and friendship in all its crazy glory. Perfect for teen readers who have had their fill of fantasy and paranormalcy, or who are craving a sweet and funny novel featuring plenty of lovably quirky characters.